I seem to remember an article years ago about a 73 Camaro that Joel Rosen built to test out a new combination. Something along the lines of a 400 small block,maybe with camel hump type heads. I am not sure if it was a Baldwin car or if he even built it as a new car. Has anyone heard of this car? Was it green or green then painted red? Could you be thinking of the Motion Z-30 which I *think* was a motion Z28? 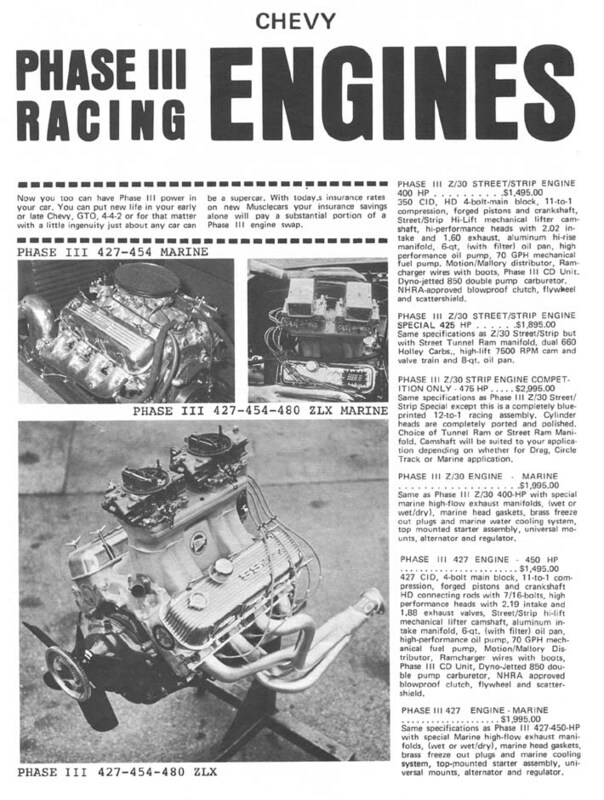 I have the book on Motion performance Chevy engines and pictures. The one I remember was a very sedate type street car. Hydraulic can,mild gears,a/c I think. I seem to remember it being Rosen's personal car. I don't recall a MP 400 Camaro but could have been one. Maybe you are thinking of the 1972 Yenko "Super Z" 400 Camaro ? Wow,I wonder if that is what I remember. I only remember that it was used as the personal car of the shop owner so I guess that would be Don Yenko's personal car. If anyone has a pic of the article it would be great to see it. What is the deal with this car. I see it has A/C. It must have been built as a real daily driver type car.